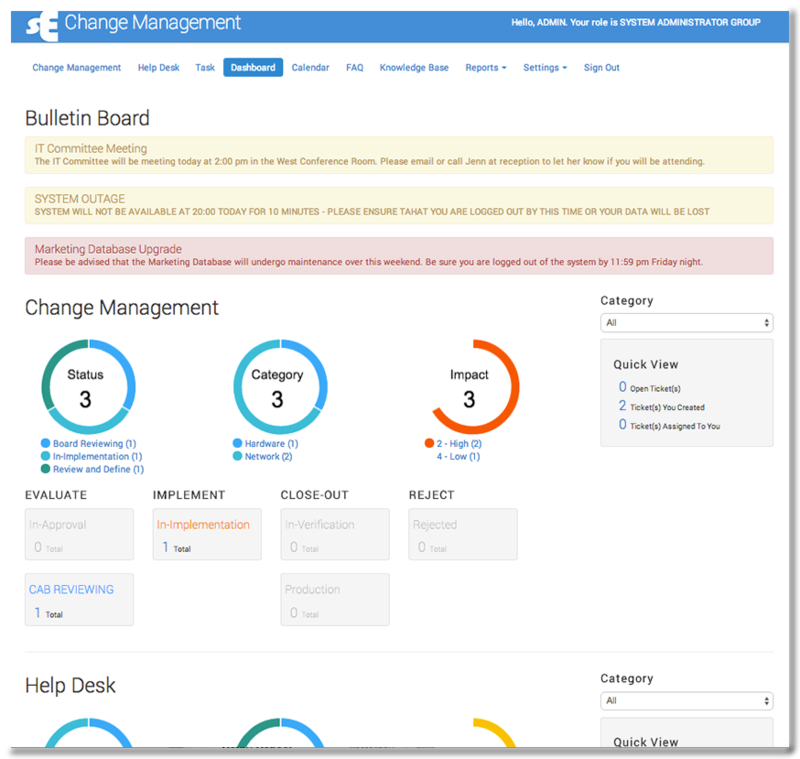 Sign up page for free 30 day custom demo of SES's suite of web based software including: Change Management Control, Help Desk Control and Workflow Management Control. Once you fill out the information form, we will immediately be back in contact with you to set up your free 30 day demo. Seeing the details while keeping a handle on the whole picture is crucial in any business environment. SES's Quick View features let you see a broad snapshot of all the active issues within an application. See statuses, attachments, assignees and valuable time markers with the ability to directly drill down into any specific record right from the page. You can also quickly sort by any column header and export all data to a PDF or Excel format. Design your workflows and design your forms and take control of change. Manage projects of any type, assign the people and resources your need and stay on top of your changes via the web and email alerts. Sometimes a thorough change process is just too much, however issues arise that need to be tracked and possibly impact larger changes. SES includes a full help desk issue tracking system to accommodate this need. Let end user's submit tickets through the web or have staff submit. Use automatic assignment rules and notifications to ensure work gets done. EMAIL NOTIFICATIONS - Click image for more detail.